Symbioses describes states of inter species relationships. These relationships are described as both close and longterm. They are clasified obligate (nessecary for the survival of the species) or facultative. Beyond the Oxford ‘typically to the advantage of both‘, symbioses has at least 3 types: mutualism, commensalism and parasitism. Mutualism is a state where both individuals of different species derive a benefit. Commensalism describes an interaction where only one individual benefits and the other is not significantly harmed or helped. In case of parasitism one individual benefits and one is harmed. A -kind of separate- type is amensatism; one individual is inhibited or completely obliterated whereas the other remains unaffected. A sapling’s survivalproblem because of it’s position directly in the shadow of a bigger tree is an example of this type. This example is hard to classify, because the sapling can be of the same species as the bigger tree or not. There is coexistence of both a positive and a negative pay off, respectively longterm evolution of a species (adaptation / survival of the fitest) and shortterm death of an individual. Huisman, Snoek and Weissing (‘De wiskundige kat, de biologische muis en de jacht op inzicht’, volume 55 Epsilon, by Heesterbeek, Diekman & Metz, 2004, p 181-196) describe how competition can lead to chaos, where chaos to enriches biodiversity (read more @ RUG). The referred chapter starts with a mathematical description of phytoplankton growth related to the concentration of available nutricients. In case of one plankton species that grows on a single nutricient, the number of individuals evolves into a limited population, due to the carrying capacity of the pool. 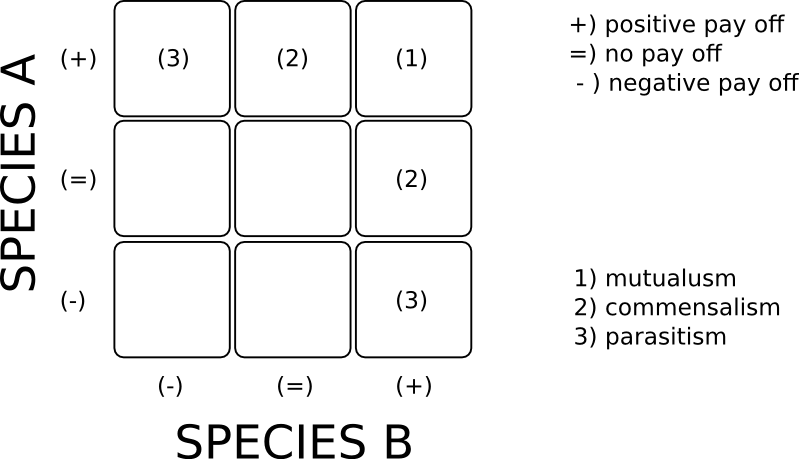 Two plankton species that compete for a single pool of nutricients deliver two stable populations, where it is plausible that the low-energetic species has a competitive advantage: the species that is most efficient with the nutricient wins, in this case. This principle is known as competitive exclusion. In case of two species in competion for two nutricients, Liebigs Law of the minimum (1840) states that the growth speed of a species is defined by the most limiting nutricient. 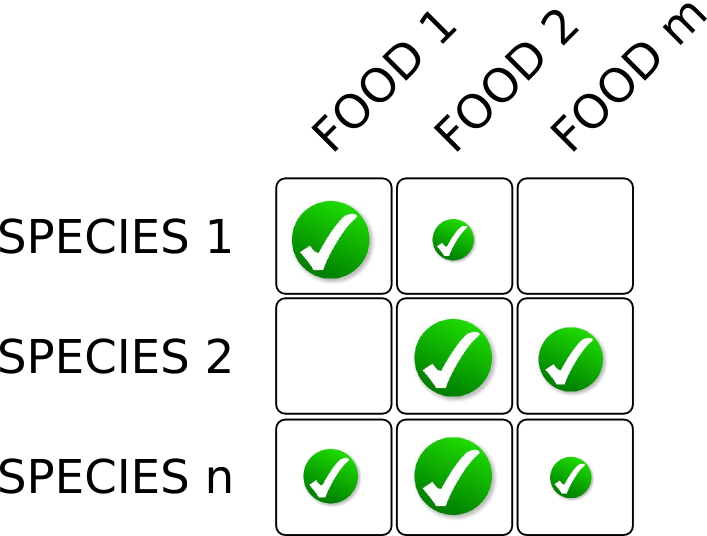 Check: The number of nutricients limits the number of stable states of coexistence. In this case, one state could end up with a single species that deals efficient with both nutricients. Another state is when 2 species coexist, pushing away all other species. 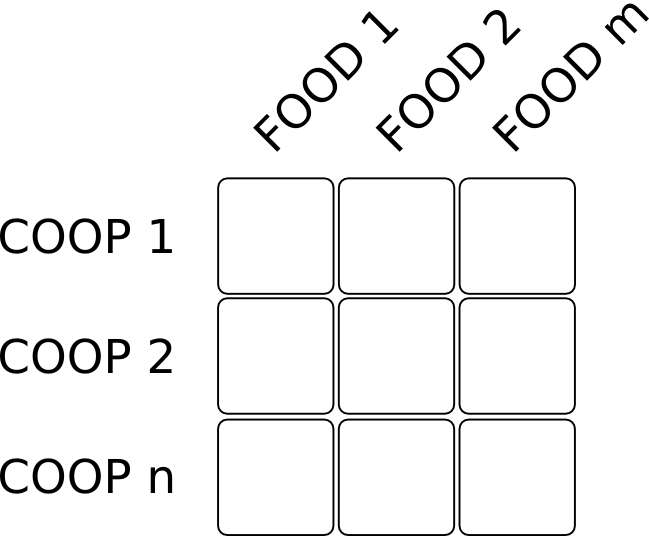 A system with N limiting nutricients can result in stable states (equilibria with 1 to N species) or in unstable states. The authors use the expression: ‘The jack of all trades is a master of none’, referring to the trade offs. Seldomly a species is best on most or all fronts of competition. The authors then describe a system of 5 plankton species and 3 nutricients. Small differences in starting conditions of 5 nutricients lead to signifiantly changed configurations. In this case we have an unbalanced situation, where competition leads to chaos, resulting in increased biodiversity. Mathematics can help grasp the outcomes and appearing configurations, but it cannot predict them. We can ask ourselves if current delicate-balance-approach of complex systems minimizes biodiversity as well. Or will increased biodiversity bring mainly negative side effects? It is plausible assume some impact on continuity or robustness of (individuals within) organizations. Similar to plankton, an organisation can be seen as an entity as well. Even a system of organisations can be compared to a single entity, like plankton. 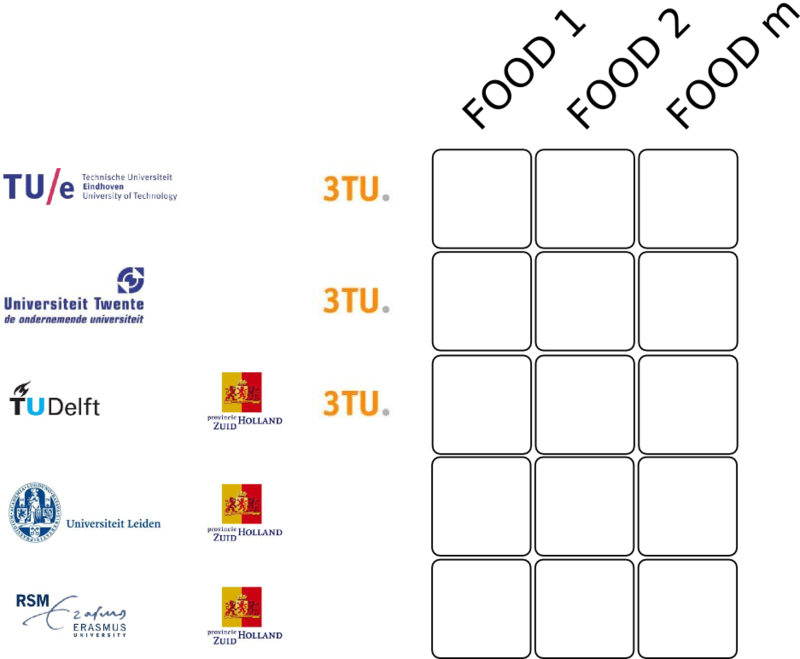 According to ‘plankton theory’, a merge into 3TU or Regional University cluster is only possible and sustainable when there at least more than three limiting nutricients, unless the mergers take a step beyond a delicate balance and embrace an unbalanced set of vulnerabilities. Each University has a set of nutricients of it’s own: 1st, 2nd, 3th and 4th order money (dutch: ‘geldstroom’), plus a number resources from other institutes (source: dutch government). Although the Netherlands provide one pool of nutricients -with unique characters and conditions- , there is always a bigger fish. The Shanghai ranking and a need for internal efficiency are drivers for the merges of Universities, making possible (1) more students (gaining extra, indirect / external nutricients), (2) shared facilities (efficient nutricient-to-action-ratio A) and (3) a robust / adaptive portfolio of scientific curricula (efficient nutricient-to-action-ratio B). Let us not forget the time span of ‘plankton theory’ and merges of universities. In a bigger closed system (an ‘earth pespective’), plankton population will rise and decline, whereas in a smaller system (a ‘pool perspective’) it is a matter of life or death for plankton species and Universities, for an individual diatom and Rector Magnificus. [?] 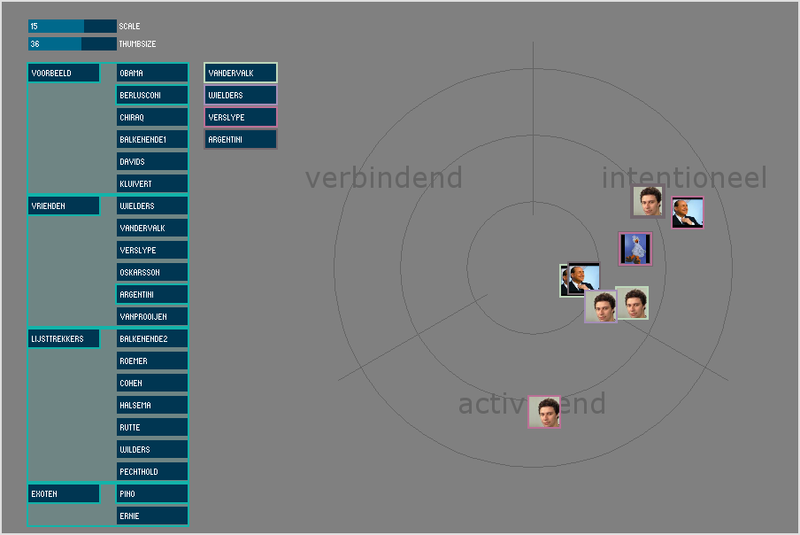 How do group members see themselves? [?] And how do members see each other? 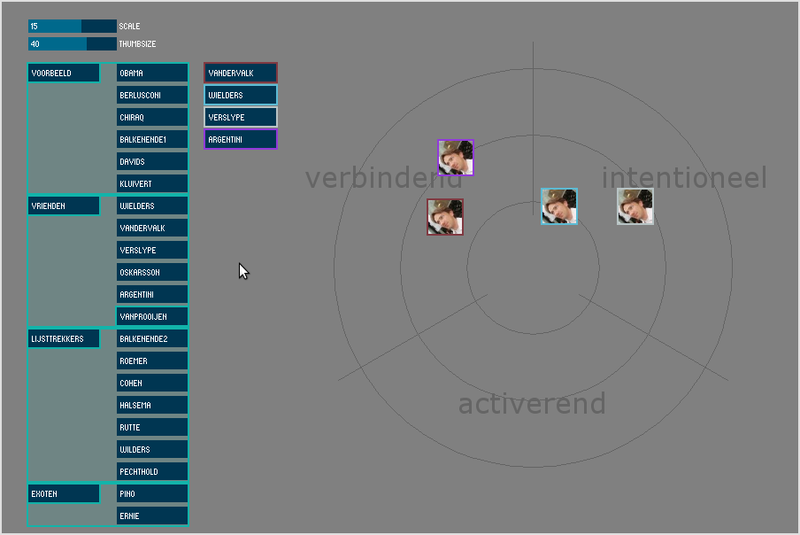 To get an idea how user input can be visualized back to the group, I’ve created a tool. Using friends to collect a sample data set, I found the research by Pieter Jan van Delden providing a suitable framework. Developed for ISAGA 2104, this presentation introduces the motivation, approach and first steps of my research as an external PhD. For developing a better understanding of behavioral dynamics, I have developed a new method, including a design tool that helps debriefing behavior. Explanation in 14 SLIDES via Linkedin or as PDF file. 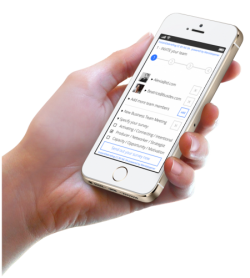 An app will become available for free – free as in free beer – online soon, so you(r team) can start improve debriefing skills! Is it possible to visualize behavior – fed by interests of both the smaller part and the larger whole – and feed it back into the group, enabling groups themselves to make the group decision process more efficient? Thereby making the decision making process more effective as a whole? Strengthen the process of effective decision making in engaged collaboration, while focusing on complex system situations. Working within a single organization sometimes already is quite a challenge, let alone working across organizational boundaries. Still cooperation lures for reasons like lower costs, better services and more flexibility. In return, working together does require a certain degree of openness. Offering disclosure can however feel like undermining ones bargaining position. The start-up of a collaborative assignment in a complex system situation can quickly steer group members towards a delicate balance of cooperation and competition. This balance of interests has two perspectives; both from the smaller part and from the larger whole. The exact motivation and the (expected) type of reciprocity is hard to identify. In particular, during the judgement phase of a debate cycle (between orientation and decision making phase) the bargaining dominates, and thus the positioning of self-interest. This seems to be an energy leak. There are enough examples where cooperation and competition take place at the same level: the three universities of technology in the Netherlands, regional innovation clusters, safety regions, health care systems, distribution of aid in Haiti. These examples all indicate groups that have to deal with local struggle for (financial) means in short term, parallel to the envisioned regional cooperation. These examples raise questions about tensions between group interests; about a need for control versus a will for opening up. Wouldn’t it be helpful to have a finger-on-the-pulse system available, to be used during collaboration in complex situations? This research aims at making clear how such a system should look / should work. I am curious whether unexpected, seemingly random and emotionally disturbing developments can improve the cooperation of the whole. What kind of disturbance is that and how can visualization techniques strengthen group interaction?